Policy Adviser Jeremy Hewer explains why your feedback is vital for lobbying for change regarding Universal Credit. 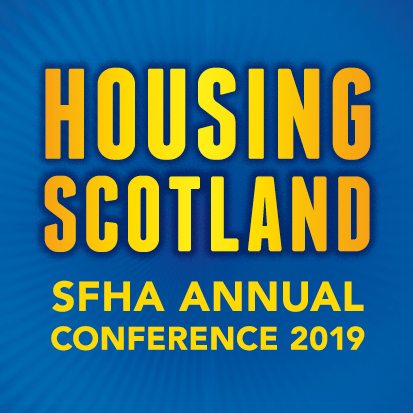 For nearly two years now, the SFHA has been sending out a monthly survey that tries to measure the impact of the roll-out of Universal Credit on housing associations – and for very good reasons. The UK Government has introduced Universal Credit with the aim of simplifying and rationalising the social security system, a principle that many concerned with welfare policy, including the likes of the Joseph Rowntree Foundation, would agree with. Since its initial introduction in North West England in April 2013 and Scotland and Inverness, in November 2013, Universal Credit has been fraught with delays, difficulties, cost overruns and a reset. It has also been accompanied by the introduction of other UK Government policies, sometimes leading to a conflation of its perceived policy short comings with its practical implementation. In terms of implementation, the UK Government and the DWP are eager to bolster its performance, which is the main reason that the SFHA has been carrying out the surveys – to see if the claims actually stand up. The evidence we gain from survey returns enables the SFHA to highlight to the DWP where there have been shortcomings and – most importantly – to get the DWP to amend its processes. To give a recent example of SFHA success – the DWP in Live Service areas had separate forms for landlords to verify rent details and to ask for an Alternative Payment Arrangement Managed Payment to Landlords (APA–MPTLs). The two forms have now been merged in the expectation that this will streamline the setting up of MPTLs not only for tenants in arrears but those tenants who have vulnerabilities such as addiction issues that justify direct payments to landlords to protect the tenant (and their family), even if not (yet) in arrears. It remains to be seen whether this and other procedural changes perform as they are meant to, which is why your survey returns are vital so that the SFHA can feedback to the DWP and make the case, if necessary, for further changes. With the advent of Universal Credit Full Service, currently available in seven local authorities in Scotland, and with it the removal of the gateway criteria that was in place in Live Service areas, there will be an upsurge in the number and complexity of cases. This needs to be monitored, as does the transition to the Scottish Government’s Universal credit flexibilities when they come into operation. Your survey returns demonstrate what processes are working, what processes that are in need of refinement, and what processes are absent that are required. Should we then get to a steady state with Universal Credit, it will be clear to see what policy shortcomings there are, and they can no longer hide behind the excuse of teething problems. Thank you for returning your surveys and please, keep them coming. Complete the latest survey today.